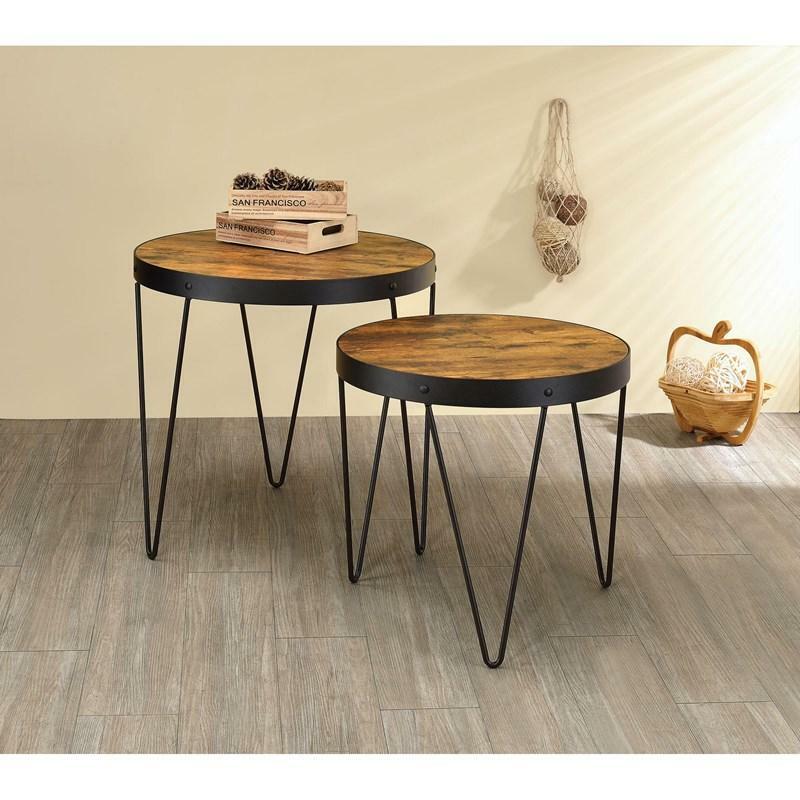 This beautiful set of nesting tables will bring a beautiful industrial flair to your home. 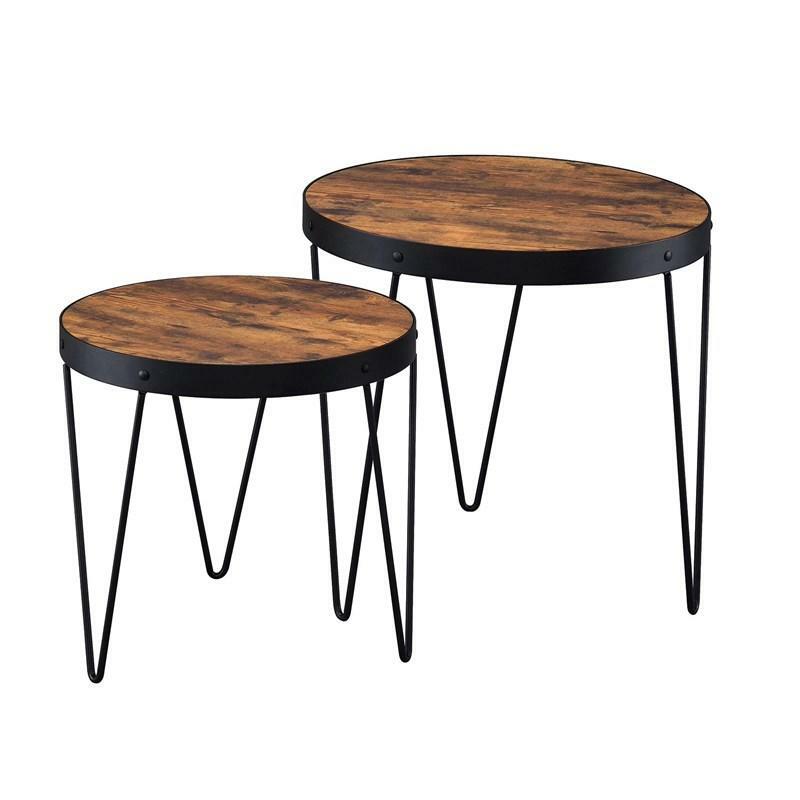 They feature a black finished frame and hairpin style legs. They have a honey color, cherry veneer tabletop adorned with a metal band with nailhead accents. Volume 2.07 cu. ft. / 0.06 cu. m.